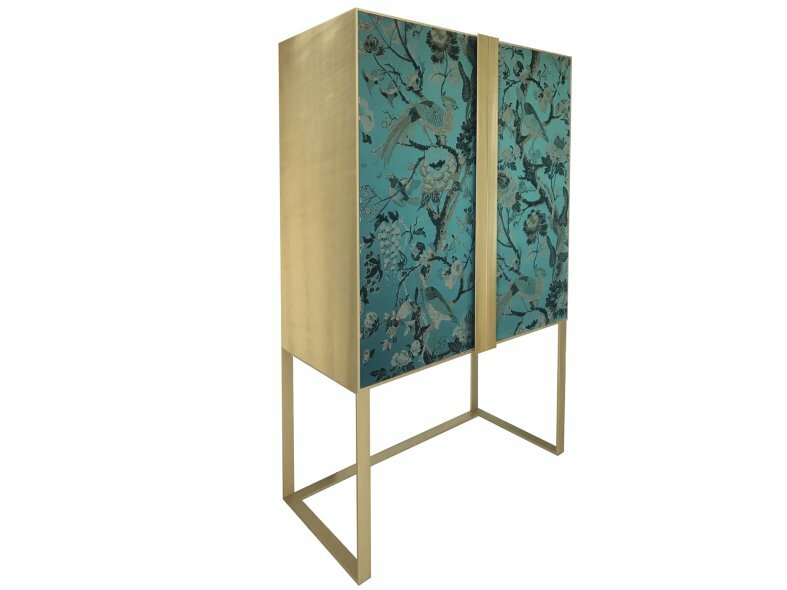 This sophisticated cabinet will complement any decor, thanks to its minimalist silhouette and the noble materials used. 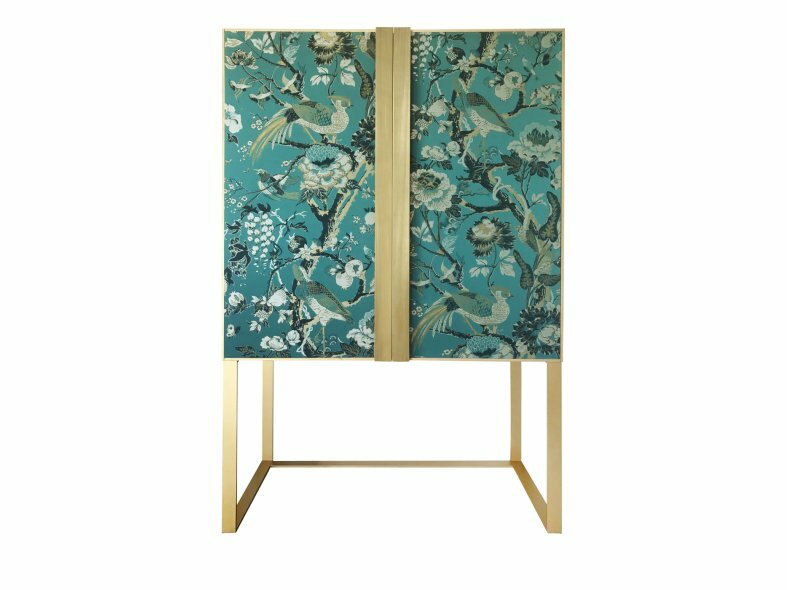 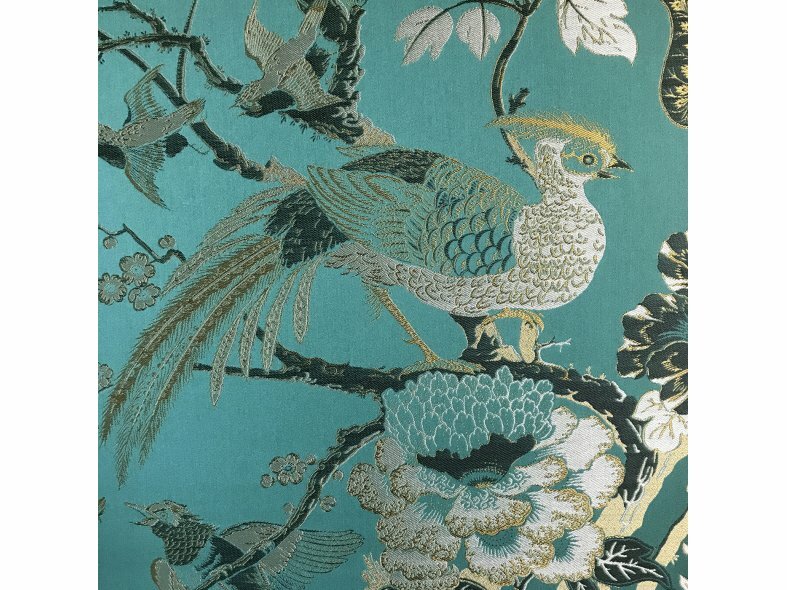 Its timeless allure is given by the brushed brass structure and handles that elegantly frame the cabinet doors in wood entirely upholstered with a precious silk jacquard fabric in green adorned with a decoration of birds and branches in gold, silver, and black. 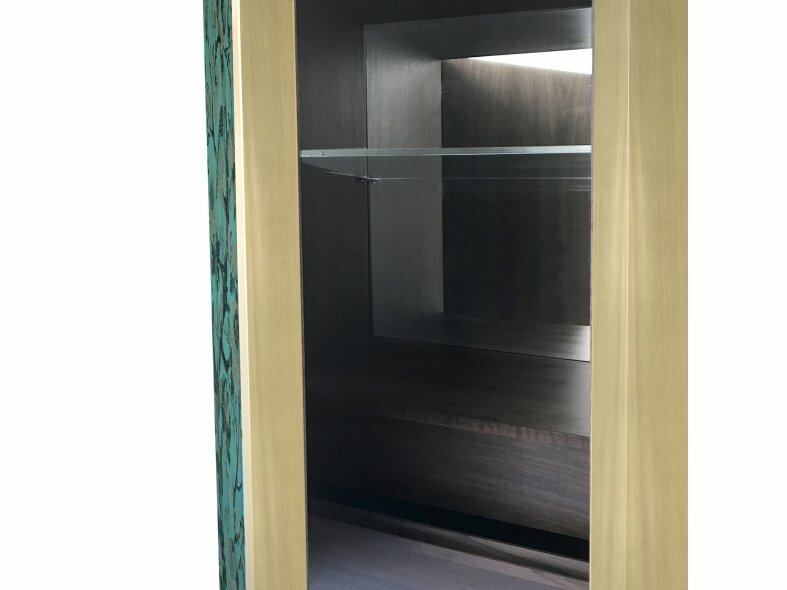 The interior features two matte walnut wood drawers and one extra-clear glass shelf, plus a back mirror that enlarges the space and gives a striking reflection to the piece.